July 11, 2016 18 comments on "Canning Homemade Chili"
Canning chili was a new adventure for me. My family is picky about their chili. Seriously, if your family doesn’t like your canned food better than what you can buy at the store, you may be wasting your time canning your own food, especially if it is your spouse who doesn’t like the canned food you’ve made! When I am testing out canning recipes, my family HAS to like it, or I don’t bother making it again. Some recipes are definitely better than others, and chili recipes are no exception. I’ve experimented with several different chili recipes, and this one was my family’s favorite. I was really surprised with how good it turned out, and my family LOVED it! Finally, the perfect chili recipe. New to pressure canning and want to watch me prepare this recipe? Click on the video below and watch me prepare this chili recipe with a pressure canner, step by step. *Note: You can use either store-bought chili seasoning mix or my chili seasoning mix. 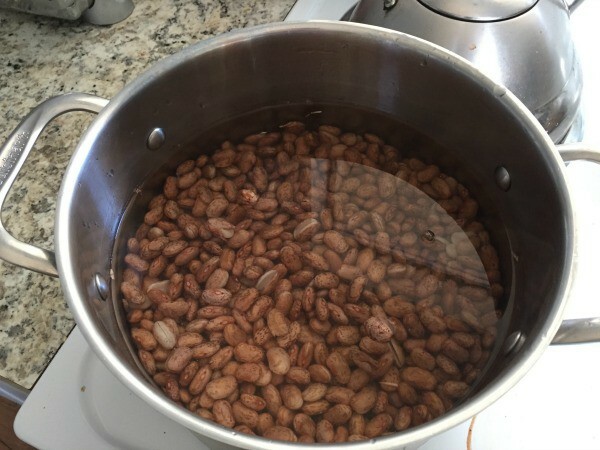 Wash beans and place them in a large pot. Cover them with water, at least 2 inches above beans, and then let the beans soak overnight. Rinse beans and replace with fresh water. Add 2 tsp. salt. Heat until simmering and cook for 30 minutes. Drain water from beans. In a large skillet, brown hamburger, onions, and bell peppers. Place them in a large stock pot and add beans. Add tomatoes, tomato juice, tomato sauce, 3 tsp. salt, pepper, and chili seasoning mix. Simmer 5 minutes. Ladle hot mixture into sterilized canning jars, leaving 1 inch head space. Wipe rims of jars with a clean dish towel and place lids and rings on jars. Process jars in pressure canner* at 11 pounds pressure for 75 minutes for pints and 90 minutes for quarts, then remove the jars from the canner and let cool until lids seal. * Note: This recipe has to be prepared with a pressure canner or it will not be safe to eat. You can not process it in a water bath. 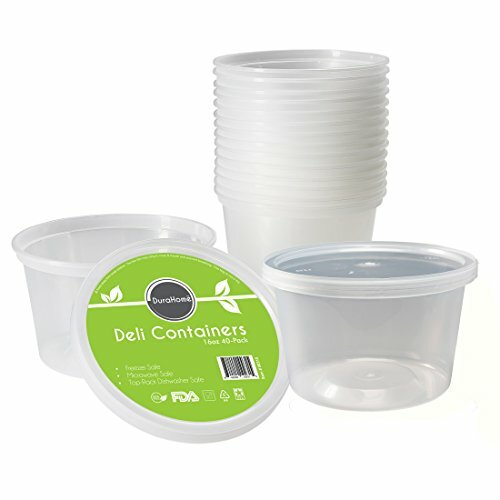 If you don’t have a pressure canner, you can easily freeze it in these inexpensive freezer containers you can order from Amazon. Follow my Favorite Recipes and Canning and Preserving boards on Pinterest. 18 Comments on "Canning Homemade Chili"
Hi! Here is my post about canning beans. You will want to use the pressure and time listed there. 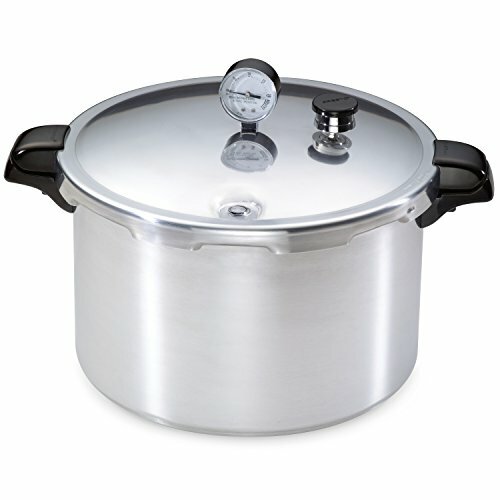 Can the newer pressure cookers be used or does it have to be the old type? New to canning.. If you omitted the meat or substituted it with more beans, will the processing time in a pressure canner change? Hi! When you are pressure canning, amounts of ingredients don’t matter as much as they do for boiling water canning. With boiling water canning you are trying to keep the pH level below 4.6. That’s why it’s so important not to change the amounts of ingredients when boiling water canning. When you are pressure canning, the processing time and pressure are determined by the pH level of the lowest acid food you are canning. So for this recipe that has already been taken into consideration. Changing the amounts of the ingredients doesn’t make any difference. The only way you’d have to change the pressure for this recipe was if you were adding a new ingredient that has a higher pH level. Hope that makes sense! That’s a very good question! Apparently if you have a weighted gauge canner, the 10 pounds pressure on that canner corresponds to 11 pounds on a dial gauge canner. You can read about it more here. My elevation is over 3,000… Would you suggest 12 pounds or 13 pounds? Also, what would you say the shelf life is?? Hi Lindsey, I think you would want to use 13 pounds pressure for that altitude. The suggested shelf life is 1-2 years, but I think it would last a little longer as long as the jars are completely sealed. Hi. Can you use store bought canned beans? Hi! 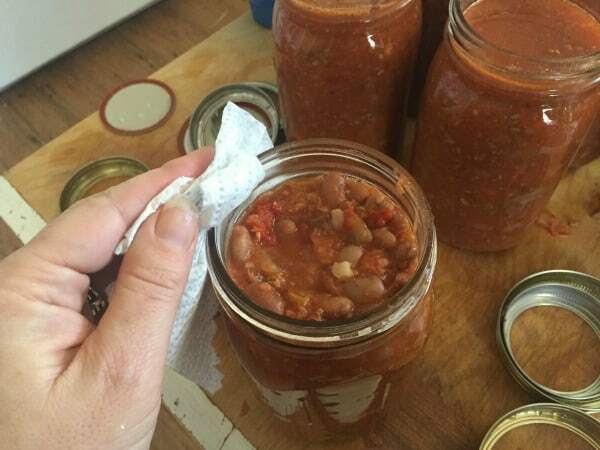 You probably could used store bought canned beans, but just keep in mind that when you are pressure canning you are cooking the beans again during the canning process, so the beans would be cooked twice. It wouldn’t hurt anything to do that, but the texture of the beans might not end up as good. 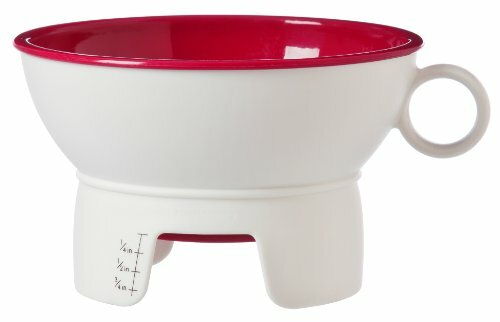 Alot of recipes for canning say salt but I’ve been told to use canning salt so which would be the correct method? Hi Grace, you don’t have to use canning salt in every canning recipe that calls for salt. I know that salt is mainly a preservative, it doesn’t affect the acidity level of the recipe so it is not crucial for that. I think it is most important to use canning salt for when you are pickling things, sometimes the water gets cloudy from using regular salt. I think it’s the iodine in it. 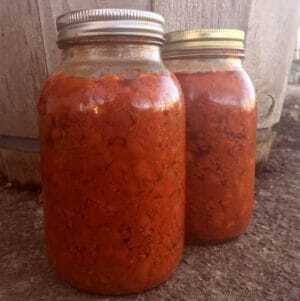 Using regular salt is fine for canning soups like this chili. If you omitted the beef could you can this in a water bath? No, sorry, you would still need to use a pressure canner. You can’t process beans in a boiling water canner. They are a low acid food, just like meat. Hi! You can’t can this recipe without a pressure canner, it would not be safe to eat. You could freeze it though, in freezer containers. They are very inexpensive on amazon. I’ll add a link to them in the recipe.